Does Chewing Tobacco Affect Running? The effect a couple of smoke-filled lungs have on a runner is probably pretty clear. However, the effects of chewing tobacco, often referred to as "smokeless tobacco," may not be as obvious. Whether you're a casual or serious runner there are short- and long0term risks associated with chewing tobacco. When you run, your heart rate increases, pumping oxygen to the muscles being used to move your body. Your blood vessels also expand, allowing your blood to move quicker and easier. Chewing tobacco has nicotine in it, which causes venoconstriction, or a narrowing of your veins. In fact, chewing tobacco for 30 minutes puts as much nicotine in your body as about three cigarettes. Narrow veins limit the supply of oxygen to the heart, meaning your heart has to pump faster in order to get the amount of oxygen it needs. This occurs even if you aren't doing any serious physical activity. If you're running, your heart is under more strain because it's having a harder time getting the oxygen it needs while also trying to get oxygen out to all your muscles. Many of the harmful ways chewing tobacco affects your running manifest with time. As a general rule, the longer you chew the more danger you are in. The nicotine in chewing tobacco causes high blood pressure, or hypertension, which strains your heart more when paired with the narrow veins also caused by nicotine. This strain increases over time as your heart weakens and your arteries harden. Though running regularly strengthens your heart, in the long term, the positive effects of running are offset by the negative effects of chewing tobacco. Chewing tobacco has 28 cancer-causing agents, increasing your risk of throat and mouth cancer . As a runner, breathing is critical, which means a healthy airway is critical as well. Though throat and mouth cancer are serious conditions for anybody, they can feel more devastating to runners. Treatment for these types of cancer involves radiation therapy and surgery, possibly resulting in part of your throat or mouth being removed. 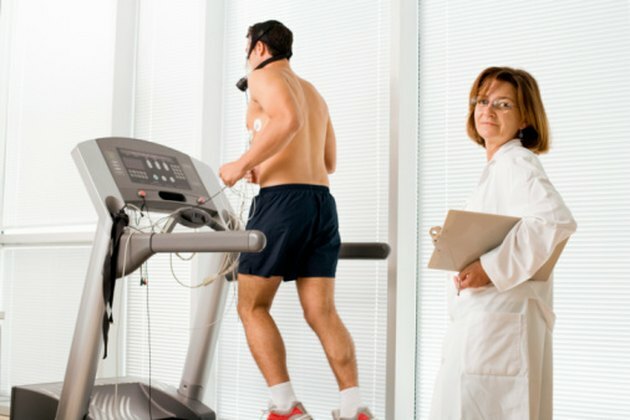 Running has to be suspended during treatment and recovery. The duration of rest depends on the severity of your condition. Long-term limitations on your ability to regulate your breathing while running are possible. Nicotine is addictive, making chewing tobacco a hard habit to break, but running can help break the cycle of addiction. A 2007 study in the journal "Psychopharmacology" reported that 10 minutes of exercise at moderate intensity was associated with a decreased desire for nicotine. A 2008 study in "Mental Health and Physical Activity" indicated moderate exercise could decrease nicotine withdrawal symptoms. Researchers reported in 2010 in the "Journal of Sports Sciences" that moderate exercise reduces the craving for nicotine, and that running reduces this craving longer when compared to walking or no activity. Can Running Every Day Make You Fit?